There is massive potential for a growth in tourism for Celbridge, and the Sallins and Naas areas when the greenway is developed. We have seen success in Sallins with Ger Loughlin’s barge tours and a boom in restaurants and cafés in the village on the back of this. 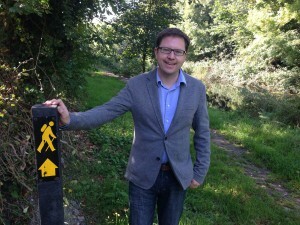 Bringing in a developed greenway will only strengthen the tourism industry in Kildare. I understand Waterways Ireland, in conjunction with local authorities including Kildare, are now preparing a bid for funding from central government. I look forward to working with my colleagues on the committee, in Kildare County Council, and in Dáil Éireann to ensure this project is delivered.